There is doubt about the end of the metro rail schedule. Because, in two years, there was no quarter-piece work. Experts say that if the work is not completed at the scheduled time, the project cost will increase. However, the project-related demand will be completed within the stipulated time. Talking to project-related people, the overall real-time development of the Metro Rail project, which is under construction from Uttara to Motijheel, is around 16 percent. On June 30, 2019, the completion of construction of flyovers and stations from Uttara to Agargaon. And in December of that year, the metro rail was started for Agargaon. The implementation of Motijheel part of Agargaon by December 2020 is to be implemented. Till now, the cost of Metro Rail project is Tk 5, 105 crore. Meanwhile, the width of the road in the project area has decreased since the main work of the Metro Rail project began. Two cars along the road, the bus cannot continue. 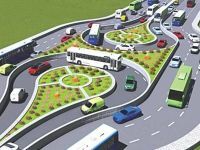 The traffic congestion is now in Mirpur, Agargaon Locals fear that if the work of the project does not end at the scheduled time, the sufferings of the day will be much longer. Mirpur’s resident Arifur Rahman said, “The work of the metro rail has to be read in the traffic jam every eight hours. When the work of the metro rail is over, the sufferings of the traffic congestion will be reduced – in this hope everyone is experiencing the current suffering. But it has been seen before, that a project does not want to end. It should not be so. The current government has declared the big projects which are intended to be implemented on a priority basis as ‘Fast Track Project’. One of the fast track projects of this metro rail. The cost of this project has been estimated at around Tk 22 billion. 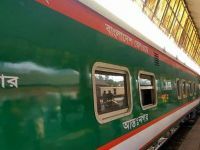 The 11th meeting of the Board of Directors of the Dhaka Transport Coordination Authority was presented in the implementation of the Dhaka Mass Rapid Transit Development Project (MRT-6). The project is known as ‘Metro Rail Project’. According to the progress report, till August this year, the overall real progress of the project is about 16 percent. The overall economic progress of the project has been 23.22 percent. 120m highway (Viaduct) visible. According to the revised plan, the construction work of the Metro Rail is going on full, the report said. In 2012, MRT-6 or Metro Rail project was taken. 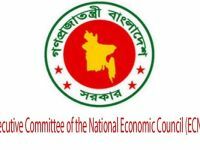 Later, according to the instructions of Prime Minister Sheikh Hasina, a revised plan was taken in a special initiative. Asked, Bangladesh University of Engineering and Technology (BUET), Civil Engineering Department Professor Shamsul Haque said in the first light that the problem was to remove the line of service company when making the flyover of mayor Hanif Flyover and Moucha. But there is no problem with the Metro Rail project. Service line lines have already been moved. There are all arrangements to finish the work fast. It is possible to speed up the work of government and contractors. The completion of construction of flyovers and stations from Uttara to Agargaon was completed in June 2019. In December of that year it started. The work of the Metro Rail project is divided into eight packages. Under the first package, the land development work of the depot area started first. The work of this package ended on January 31 last year. The practical progress of construction of trains, train maintenance and cargo warehouses, main workshops, and 17 percent of the work is in progress. The 11.73 kilometer flyover and nine stations from Uttara to Agargaon are being constructed under package 3 and 4. After this, the line will be placed for the train on this flyover. This package is to be completed in June next year. By August this year, the progress of the package was 19.46 percent. From Mirpur 10 to Agargaon, the project area can be seen, surrounded the metro area with concrete fences on both sides. There is a huge work going on inside. Piling work is going on in some places. Cap is inserted at some point after piling. The metro rail authorities say that the Metro Rail will carry 1,000 800 passengers every 4 minutes after the project is launched. About 60 thousand passengers will be traveling in an hour. It takes less than 40 minutes to travel around 20 kilometers. Real progress in the construction of an electric system for the metro rail project is 1 percent. Already the front and rear design and front colors of the first metro screen have been finalized. It has red-green preference. BUET Professor Shamsul Haque said it takes time to see the physical progress of projects like Metro Rail. At the end, the pace of work increased a lot. However, the time has been set to finish the metro rail, it is very tight. He said he could not be optimistic about the completion of the work of the metro rail at the scheduled time. after the departure of the metro station and use the road to travel to the destination. After the departure of many passengers at one station, it is not specified what will be the mode of transport on the metro rail project. Asked about the project manager (Public Relations) Khan Md. Mizanul Islam said the traffic management committee was made. The committee is in discussions with the police, two city corporations, BRTC, the bus owner association. There will be no problem with the metro passengers going to the destination on the road. Many people think that due to metro stations, pedestrians will have difficulty walking along footpaths. Responding to the question of whether the pedestrian movement would be a problem, Mizanul said, “I think the station will be on the footpath.” In fact, the stations are being made very technically. When the passengers get up, the places will be quite spacious. There will also be a road crossing through the station. He also said that the construction of metro rail station has been finalized with few surveys. The length of each three-storied station is 180 meters. Passenger capacity at each station is close to thousands.